Deriphyllin Tablet is a combination medicine used in the prevention of wheezing, shortness of breath, chest tightness associated with lung diseases such as asthma, chronic bronchitis, emphysema, chronic obstructive pulmonary disease (COPD) ). Deriphyllin is the brand name for the combination of two very similar generic drugs: Etophylline and theophylline. 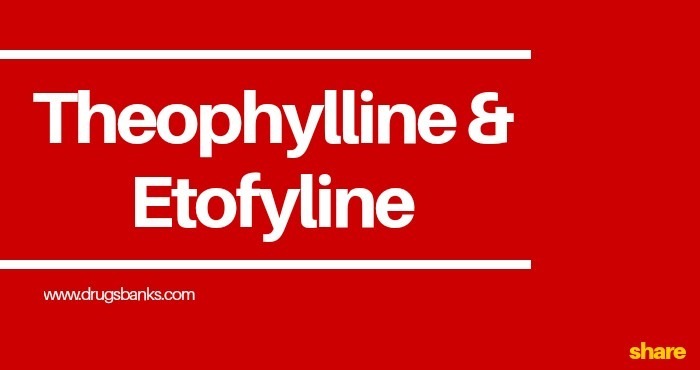 Etofyline – also called etophylline is a modified form of theophylline. Theophylline is a methylxanthine drug used in the treatment of respiratory diseases such as chronic obstructive pulmonary disease (COPD) and asthma under various brands. It relaxes the muscles evenly, also known as bronchodilatation. This cause dilation of the bronchial muscles. It simply means that the space in the lungs expands so that more air can be received and it can easily enter and exit the lungs. In response to stimuli, it helps to increase the supply of air into the lungs. It is manufactured by Zydus Cadila and contains the drug Etofillina and Theophylline. If you use other medicines or over-the-counter products at the same time, the effects of Deriphyllin may vary. This can increase the risk of side effects or prevent the medicine from working properly. Consult Your doctor before taking medicines Deriphyllin with the following medicine as it may worsen the side effects. The doctor will help you get the right dosage or ask you to stop one of the medication or give you a substitute for deryphillin. The recommended dose for the drug is 400 or 600 mg once a day in the morning or evening. Usual Adult and Child oral dose for acute bronchospasm is 5 mg/kg every 6-8 hour. Usual Adult oral dose for chronic bronchospasm is 300-1000 mg in divided doses, every 6-8 hour daily. As modified-release preparations: 175-500 mg every 12 hour. Usual Initial dose in neonates 24 days for apnoea is 1 mg/kg every 12 hour; >24 days: 1.5 mg/kg every 12 hour. Usual Parenteral Adult dose for Severe bronchospasm is 4-5 mg/kg as initial dose, through infusion, over 20-30 minutes followed by maintenance: 0.4 mg/kg/hr. Usual Child dose for Severe bronchospasm is 4-5 mg/kg as initial dose, through infusion, over 20-30 minutes, followed by maintenance dose: 1-9 yr: 0.8 mg/kg/hour; less than 9 year: 0.6-0.7 mg/kg/hour. Deriphyllin Tablet is the brand name of combination of two active ingredients such as Theophylline and etophylline. Both of these drugs work as a bronchodilators. What is Deriphyllin used for? It is used for different conditions like Asthma, wheezing, shortness of breath, chest tightness, chronic bronchitis, emphysema, chronic obstructive pulmonary disorder etc. What are the side effects of Deriphyllin? Common side effects of taking Deriphylline are Nausea, Vomiting, Stomach Upset, Diuresis, Palpitation etc. Check above. Can Deriphyllin take after food or before food? Deriphyllin Tablet is to be taken empty stomach. Take this medicine 1 hour before or 2 hours after food. You can take it with food if stomach upset occurs. Is Deriphyllin safe in pregnancy? No, it is not safe for pregnant women to take the tablet since it belongs to the drug group known as selective serotonin reuptake inhibitors (SSRIs) which are used to treat the obsessive disorder. Is Deriphyllin safe during breastfeeding? You should always consult before starting its medication and clear all the possible benefits and risk before the consumption of medicine. Can Deriphyllin provide relief from asthma? Yes, this medicine can provide relief from asthma. However, one should consult a doctor before taking this drug. Is it safe to take with alcohol? Deriphyllin Tablet may cause excessive drowsiness with alcohol. Can i drive while taking Deriphylline Tablet? It is not known whether Deriphyllin Tablet alters the ability to drive. Do not drive if you experience any symptoms that affect your ability to concentrate and react. Is it a Habit forming drug? Many medicines do not come with a potential to cause an addiction or abuse. It is advised to consult the doctor and check the product package to make sure that medicines do not belong to such category. What Happens if i miss a dose of Deriphyllin? You should immediately take the missed dose the moment you remember but should avoid it, if it is the time of next dosage. It is necessary that you skip the missed dose in such cases and not double up the dosage next time. What happens if i overdose on Deriphyllin? In cases of overdose, you must visit a doctor immediately as the side effects can cause serious health problems. Therefore, it is important that you stick the dosages as prescribed. What Happens if i take an expired dose of Deriphylline? Taking a single dose of the expired tablet might not cause any harm. It is advised to take the tablet as per instructed. An expired drug may not be effective in treating your illness but it may cause some adverse effects to health which can be harmful in case not treated on time.